Apostle Johnson Suleiman, General Overseer of Omega Fire Ministries, is still doing his thing. Mrs. Comfort Gabriel from Akingbile in Ibadan and her kids have been sneaking into their house for the past one year because of the inability to pay their house rent. As a result, the landlord has been disturbing them with so much restless attacks day in and day out. 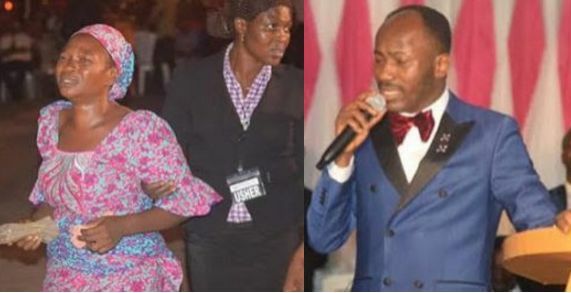 Well, all is history now as Apostle Suleman wiped away their tears by paying their rentage for the next ten years. The encounter happened in the evening of Monday 24th April at Chapel of Resurrection, University of Ibadan (UI) in the on going Help from Above invasion of the institution being organised by the Joint Christian Campus Fellowships (JCCF). 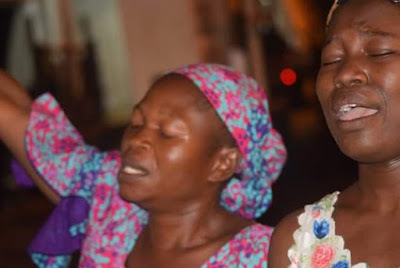 The rent fees which was revealed by the Prophet of God as well as other detailed information of the family led to widespread jubilation in the crusade venue. 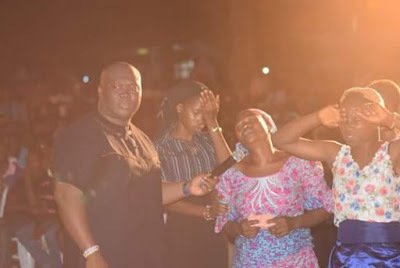 He proceeded to give the lady Two Hundred Thousand Naira (N200,000) immediately and complete it in the next evening meeting (probably for security reasons). Nice one!